Yemen's ongoing civil war has created one of the world's most devastating humanitarian disasters. The healthcare system has been decimated: medical staff have fled the country, facilities have been destroyed and medical supplies cut. More than three million people have been displaced since the war in Yemen began. Ordinary people are bearing the brunt of this brutal conflict. Indiscriminate bombings have destroyed much of the country’s public infrastructure, including hospitals. Many of the country’s 50,000 health workers have not been paid since 2016 and have consequently left the public health system, forced to look for other sources of income. Citizens experience airstrikes and sniper attacks, and endure severe water shortages. A fuel blockade has further contributed to this humanitarian crisis. 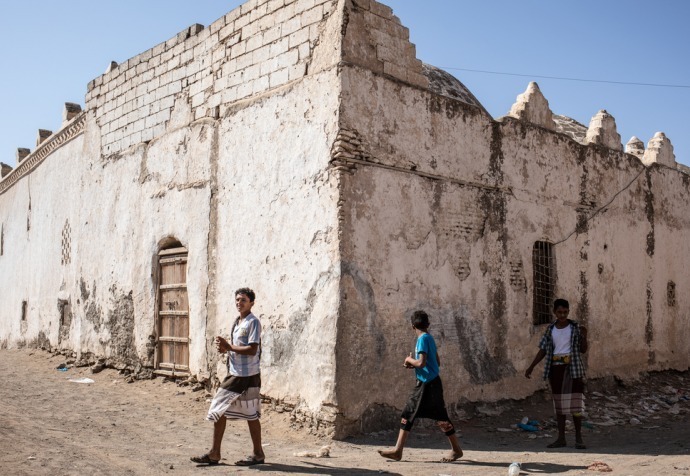 The Saudi-led coalition’s continued blockage of the main aid routes into the country is another, particularly punitive, measure against a defenseless civilian population. Since the war began, the national average prices of fuel commodities have more than doubled. This has had an impact on people’s ability to access healthcare, especially those living in remote places. Even where medical facilities are operational, most Yemenis cannot always afford the cost of transportation to reach them. This means they are unable to seek timely care, and easily curable health conditions are turning deadly when left untreated. Women often give birth at home and seek care only when complications occur. As a result of conflict, it is difficult for people to access clean water and dispose of waste. This has led to several outbreaks of cholera. In response to the 2017 cholera outbreak, we opened 37 cholera treatment centres and oral rehydration points and admitted over 100,000 patients. With an estimated 20 million people in need of humanitarian assistance, our activities in Yemen are among our most extensive worldwide. We work in hospitals and health centres, and support public health facilities across the country providing emergency, maternity, inpatient and outpatient services, and assist in laboratories and blood banks. The nutritional situation in Yemen is dire. Due to insecurity and access constraints we are unable to survey the status of the population at large. Malnutrition among children remains high. admissions to MSF's intensive therapeutic feeding centre in Khamer hospital doubled in September 2018 when compared to the previous year. We are running lifesaving medical activities on both sides of the frontlines in Taiz, Yemen’s third largest city, where most hospitals have closed due to the conflict. Most of the wounded are coming from the city centre, where many civilians are caught in the middle of intense fighting, struggling for food and survival. Survivors of landmines and unexploded ordnance blasts are common. MSF teams provide mental health and physiotherapy consultations, and run surgeries, patient referrals, and nutrition programs free of charge. We support six dialysis treatment centres, run a Mother and Child hospital in Taiz, and provide additional support to local health centres through healthcare provision, donations of medicine, oxygen, logistical equipment, electricity, human resources, and a referral system. Movement in and out of cities remains restricted and dangerous for civilians and humanitarian workers. During 2017 alone, MSF teams performed nearly 20,000 surgical interventions in Yemen.